The accordion fold format enables the making of drawings within specific sites and time constraints. Working either with black and color inks, the intention of the drawing is to explore, listen and see as closely as possible the sounds, tones and colors within a particular space. Panel by panel the marks become an interpretive vocabulary – a dialogue and performance. 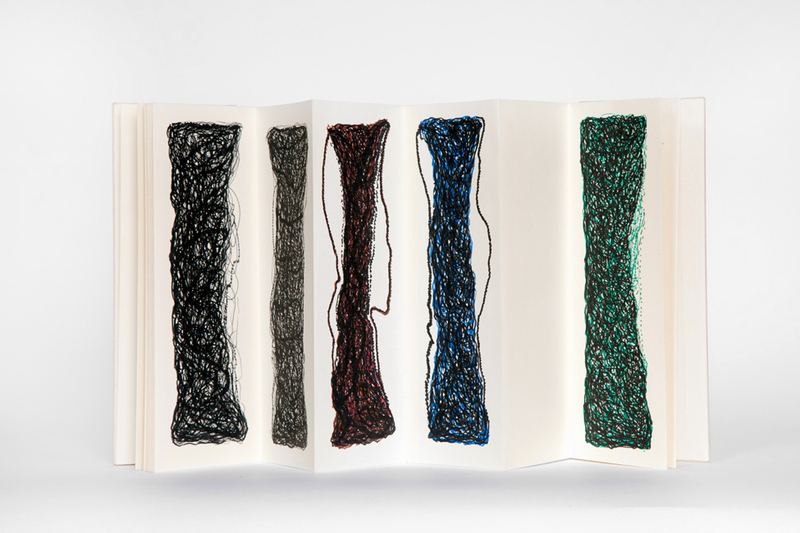 In this way the book gives permission to create and reveal a site’s temporal rhythm, character and music. The magic of its presence and pulse.